Why Online Is the Best Place for Choosing Promotional Items? We all require promotional items to quench our promotional thirsts. They have a great deal of benefits to offer to the user. Promotional items might be the best business tool around but when it comes to procuring these promotional items one can gave a hard time. Looking for the promotional item that you want is not easy. The best way to procure these promotional items is to buy them online. Shopping online for promotional items is a smart idea and can offer you many advantages over shopping the conventional way. The first and foremost reason of choosing to buy promotional items online is that when you choose to buy online and you get to check out a wide variety of promotional items. Manufactures display the entire range of promotional items they have so that you get to select the right kind of products. This will definitely not be there if you choose to go for buying promotional items the conventional way. Apart from opening you to a wide variety of promotional items and flooding you with options online shopping also provides you a platform for comparative analysis. You get to check out the various options available to you and compare them in terms of pricing and quality in a very simple and easy manner. It is said that time is money and the kind of busy lives that we all lead today this statement holds all the more relevance. Online shopping helps you save from the hassle of traveling here and there and checking out every store possible to get the promotional item that you want. When you choose to buy promotional items online you not only save your time but also get to do the job very conveniently and very easily. Shopping online for promotional items also adds to our convenience bit. You don’t have to run from store to stare checking out everything they have or go on flipping the pages of a catalogue endlessly. You can just sit back and relax and order the kind of promotional item you want right from the comfort of your desk. Online thus makes for the best place for buying promotional items as you get to check put a lot many options. Also you get to avail the best of process that re on offer. Thus by shopping online you get to save on everything from time, money, and energy. As part of an effort to build greater financial strength, American Apparel (asi/35297) announced Friday that it successfully completed refinancing of its secured debt. The Counselor Top 40 supplier recently closed a private offering of the $206 million principal amount of its 13% senior secured notes due in 2020. It also entered into a new $35 million five-year asset-backed revolving credit deal with Capital One Bank. American Apparel used the net proceeds from the offering of notes, together with borrowings from the new credit line, to repay and terminate its prior credit facilities with Lion Capital LLC and Crystal Financial LLC. After talk of bankruptcy circulated around the supplier in 2011 following an $86 million loss in 2010, American Apparel has orchestrated a steady rebound in its operations. While the company’s overall revenues have also grown, its performance specifically in the North American ad specialty market showed marked improvement: revenue increased 7.3% to nearly $97 million. That gain followed a 2011 in which sales rose 1.8% to $90.2 million. “We look forward to building our relationship with American Apparel to help position the company for continued market leadership, growth and success,” said Michael Burns, senior vice president and asset-based lending regional manager at Capital One Bank. 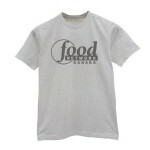 - Increased employee morale when worn as a workplace uniform. 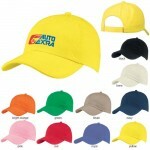 Many fortune 500 companies utilize Promotional Apparel whether it is for casual friday or for an outside event. If your company is interested in following in their footsteps then allow us to be of assistance. Shop our wide selection of Promotional Apparel including: Custom T-Shirts, Promotional Polos, Promotional Caps, Visors and Bandanas, Performance Apparel, Fleece, Jackets and Outerwear, Dress Shirts, Kitchen Wear, Sandals and Belt Buckles! Promotional Products Pack a Huge ROI! As the economy continues to struggle, businesses are in need of justifying their advertising expenses more than ever. So why choose promotional products? According to a study done by ASI, a whopping 84% of those surveyed remembered the advertiser of promotional items they had received. Of those who received custom promotional apparel (custom t-shirts, custom caps, embroidered promotional polos) a full 94% remembered the advertising logo and company. 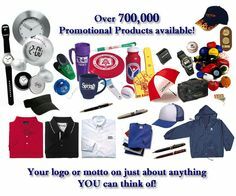 So why order custom promotional products from superiorpromos.com? Because it works…so log on and start attracting more customers today.